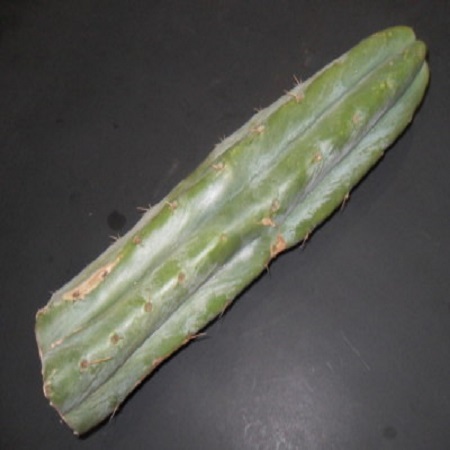 Pereskiopsis Spathulata is one of the most useful grafting cacti in the world, especially for your seedlings and even cactus areoles. Sporting actual leaves, pereskiopsis appears to be on the border that separates leafy plants from cacti. Between its succulent leaves are long spines surrounded by thousands of pesky glochids. These tiny hairs will stick to almost anything, most of all your skin if you are not wearing gloves when you handle them. 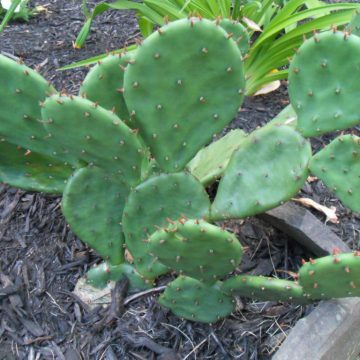 If you’ve ever handled prickly pear pads that have glochids, you might have had just a taste of what pereskiopsis has to defend itself. The more hardened off to the sun that your pereskiopsis specimens are, the more they seem to develop their armour of spines and glochids. Pereskiopsis cuttings that are grown indoors or are watered more, which have more tender growth, tend to create less of these defense structures. 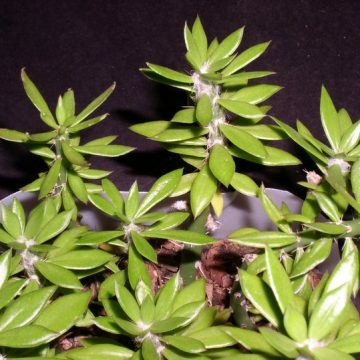 But ideally, you should use gloves to handle pereskiopsis because glochids have a way of sticking in your skin with even the lightest of touches, and they break off easily, remaining part of you for weeks or months until your body eventually digests them. 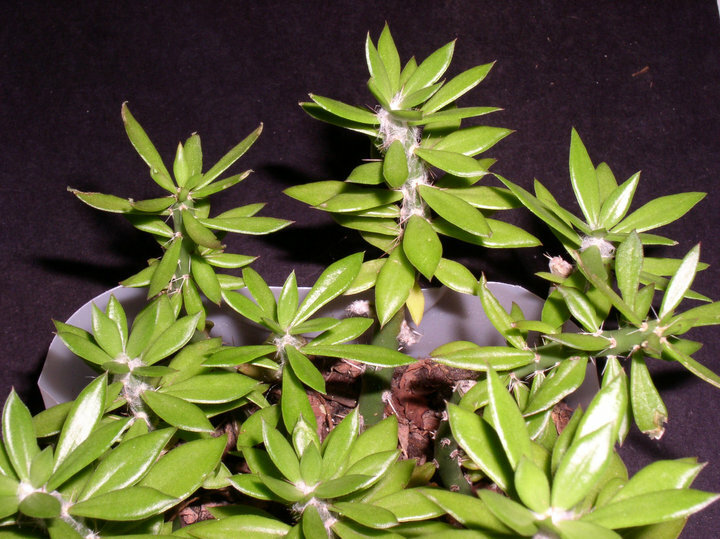 Pereskiopsis spathulata is a fast grower. You might say it grows more like a traditional leafy plant. And fast growth, usually makes an ideal candidate for grafting. And since the stems of pereskiopsis spathulata are so thin, the tops can be cropped off to reveal a thin central cortex with rings that are easily juxtaposed with those of smaller scions. 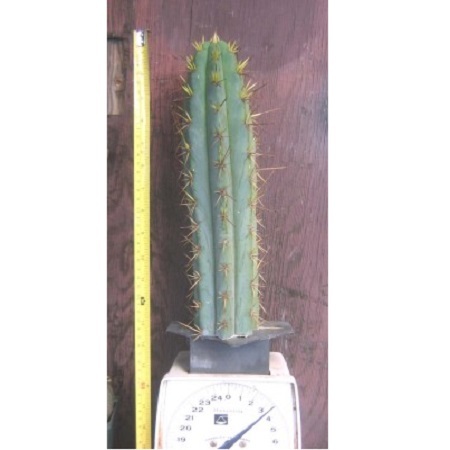 Most commonly, small cactus seedlings are used to graft to pereskiopsis. This is a game-changer for cacti enthusiasts who may spend decades growing globular cacti, such as astrophytum, ariocarpus or lophophora into nice-sized specimens. A few months from seed, one can graft these same specimens to a pereskiopsis stock, and those that take hold will put on decades worth of mass in a fraction of the time. It is even possible to degraft some specimens to put them back on their own roots once they’ve “grown up”. 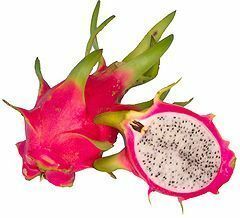 The same type of grafting is possible with areoles, which is the circular area where sets of spines emerge from the stem of a cactus. These are usually found in formation on the ribs of the plant. So you can replicate multiple specimens from one parent plant. 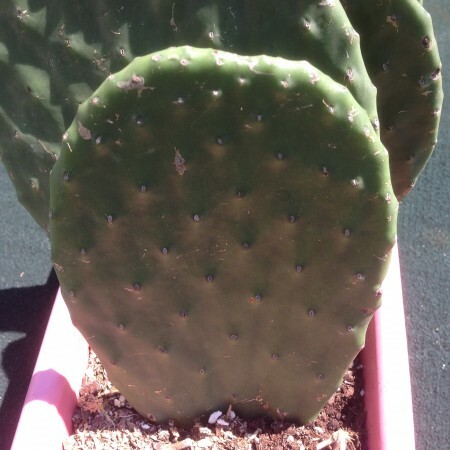 Areole grafting to pereskiopsis is also a way to save a cactus specimen that may be rotting in an area. You can graft one or more areoles before the rot spreads just like natives evacuating a doomed land and setting forth on new territory. 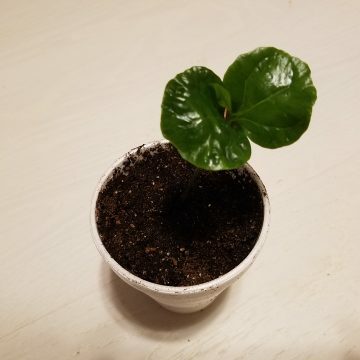 Pereskiopsis cuttings usually root very easily. You can root a cutting of almost any size. Even single pereskiopsis leaves will take root. But these lack a growing point that will allow any growth to continue. But as long as you have part of the stem, your pereskiopsis can sprout new growing tips. It is possible to cut one of our pereskiopsis cuttings into several cuttings and root them all. You can plant pereskiopsis cuttings in any type of loose or well-draining soil. Keep the soil moist, but not overly wet. Proper aeration of the soil is important when rooting pereskiopsis cuttings. You can keep your pereskiopsis cuttings under grow lights or outdoors. Established pereskiopsis can be watered more frequently like a succulent. If you hold back water and/or increase light intensity, your pereskiopsis cuttings will put on thicker growth that is usually more woody, and it will produce more spines and glochids. 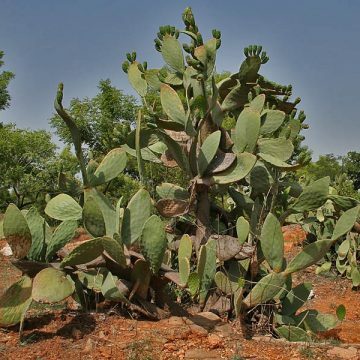 We offer a collection of cacti seeds and seedlings, so be sure to browse our selection of products that can be used in conjunction with pereskiopsis spathulata for grafting.